Royal Caribbean is surprising all of its employees on land and at sea, with a special thank you bonus due to the cruise line's three-year Double-Double goal. It’s a good time to be working for Royal Caribbean, one the largest cruise companies in the world. Why is that? because the cruise line is giving out a surprise bonus to all 66,000 employees, let the money roll in as they say! So why are employees getting these surprise bonuses? 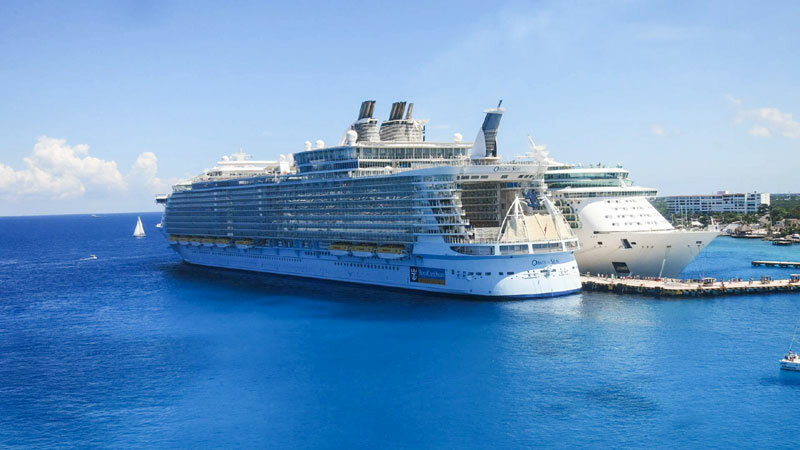 Royal Caribbean achieved its three-year Double-Double goal of doubling earnings per share and recording a double-digit return on invested capital. The cruise line is showing its thanks and appreciation to all its employees with this special bonus reward. How Much Bonus Will Royal Caribbean Employees Get? The total amount Royal Caribbean is giving out for employee bonuses is an impressive $80 Million. The amount won’t be equally shared as it does depend on specific salaries. Each person will receive equity awards equal to five percent of their 2017 salaries. This will also include all those hard-working crew members on all ships in the fleet no matter where in the world they are. The name of the bonus program to employees will be called “Thank You, Thank You Bonus.” It’s also important to note that officers at the corporate office are excluded from the Double-Double bonus program. It get’s even better for Royal Caribbean crew members, the cruise line is also putting money into the Crew Welfare Fund which is in addition to the bonus money. This means there will be more funds available to improves crew lining spaces and recreational areas. It’s a huge cruise company which fully owns three cruise lines including Royal Caribbean International, Celebrity Cruises, and Azamara Club Cruise. Royal Caribbean International is the second largest cruise line in the world and can boast having the world’s largest cruise ships along with innovative features. Also known as RCI for short a new world’s largest cruise ship named Symphony of the Seas will join the fleet in 2018 to expand help expand its finances even further.